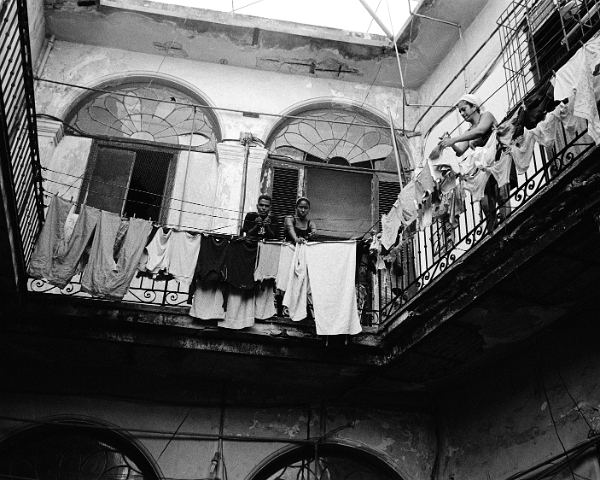 Neighbors hanging laundry on the balcony, Havana. This once elegant apartment building now suffers from overcrowding and lack of maintenance. Building collapses are becoming the norm. Havana has a severe housing shortage often requiring multiple generations of a family to live in small apartments.